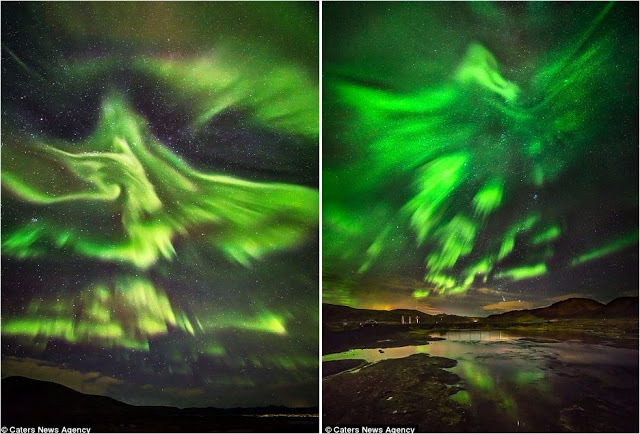 These incredible photographs of the aurora borealis captured the moment the lights formed the outline of a phoenix – the giant fire-eating bird common in many ancient mythologies. 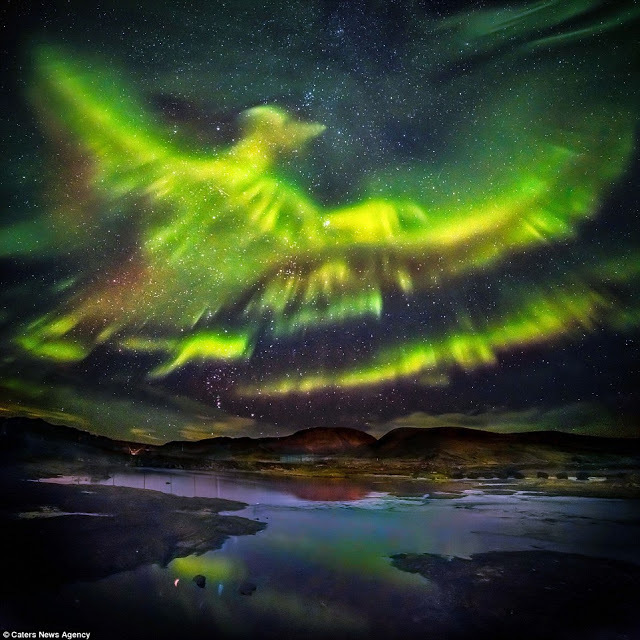 With outstretched wings and a striking bird-shaped profile, the image – captured by photographer Hallgrimur P Helgason – wowed stargazers in Kaldarsel. Mr Helgason, 64, said that the bird showed up in the night sky an hour after he got there and started snapping. He uses a camera and tripod to photograph the lights, and advises snapping in the dark away from city light pollution and never using a flash. 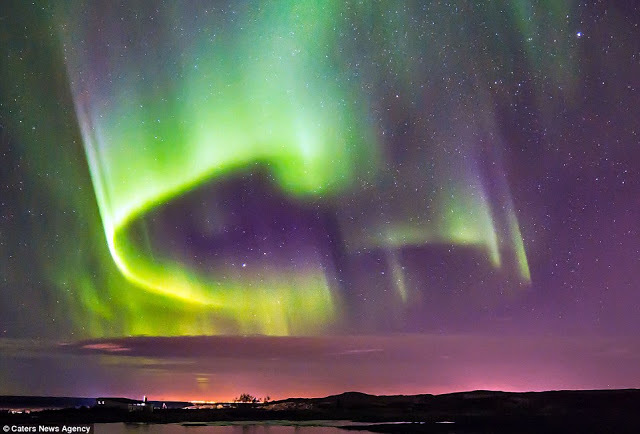 The Northern Lights feature prominently in Norse mythology. One legend suggests that the lights were reflections or glow from the shields and armour of the Valkyrie, female warriors who would choose who may die in battle and who may live to fight another day. 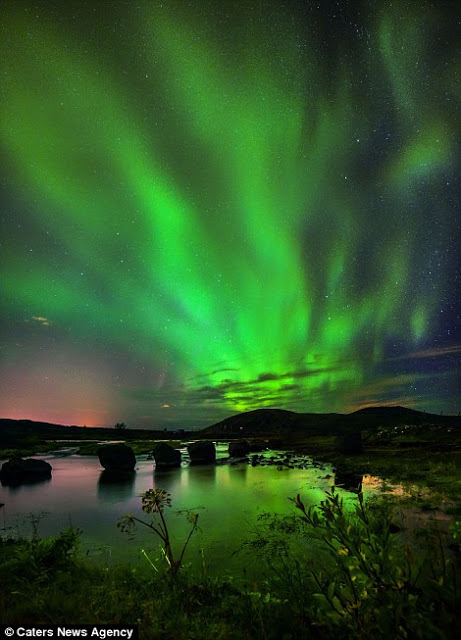 Dying in battle seemed to occupy Norse mythology quite a bit and the Aurora was also believed to be “Bifrost Bridge”, a glowing and pulsating arch which led those fallen in battle to the warriors final resting place in Valhalla. Saami indigenous people believe these lights are their ancestors visiting them. 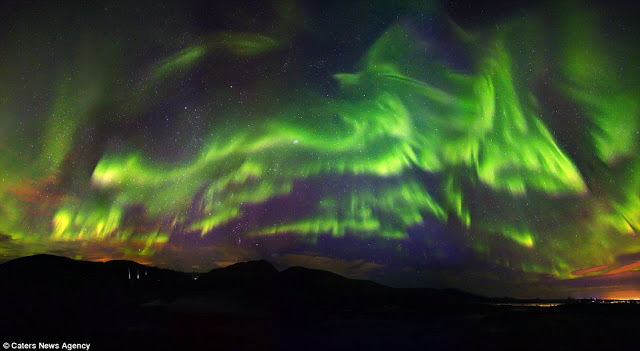 The Salteaus Indians of eastern Canada and the Kwakiutl and Tlingit of Southeastern Alaska interpreted the northern lights as the dancing of human spirits. 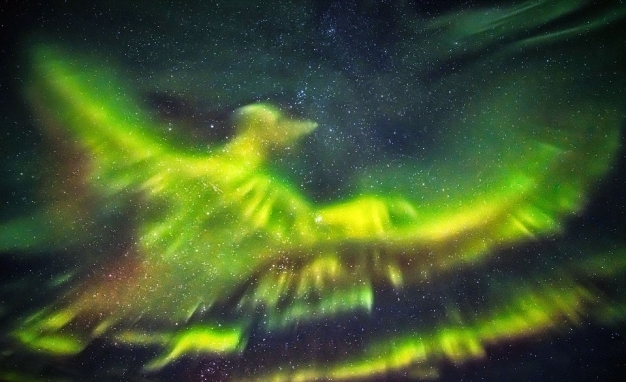 The Inuits who lived on the lower Yukon River believed that the aurora was the dance of animal spirits, especially those of deer, wolf, seals, salmon and beluga. In Finland, a mystical fox was thought to have created the aurora, its bushy tail spraying snow and throwing sparks into the sky.